The LAN35ME08HR is an 8-port 10/100/1000 Managed Ethernet switch. 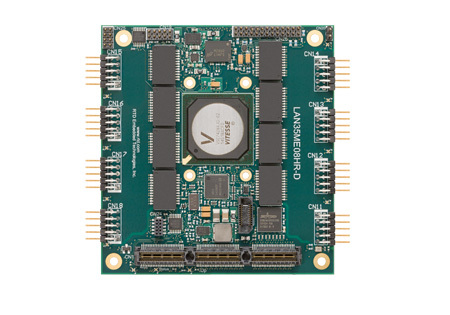 This switch module has a total of 10 ports: eight ports are available on-board, and two ports are used as stacking switch expansion ports allowing full compatibility with RTD’s managed and unmanaged StackNET® Ethernet switch family. The LAN35ME08HR can also be used as an expandable, standalone 8-port Ethernet switch (using the LAN35MH08HR or unmanaged LAN35H08HR). 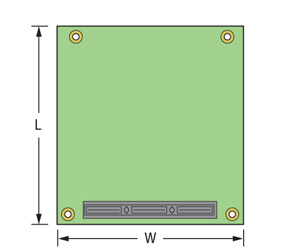 These GigE switches are available with 10-pin right-angle headers (LAN35ME08HR-D) or with RJ-45 jacks (LAN35ME08HR-RJ).